Lynn’s eighth IPL fifty seemed to have put KKR on course for at least a 180- plus total, but Tahir’s blows left them gasping for air. 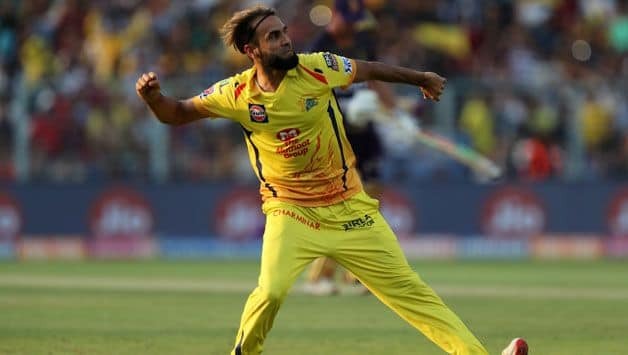 Chennai Super Kings‘ Imran Tahir came up with career-best IPL figures of 4 for 27 to limit Kolkata Knight Riders for 161 for 8 on Sunday at the Eden Gardens, a total they’d be disappointed with considering the explosive start Chris Lynn’s half-century had provided them. 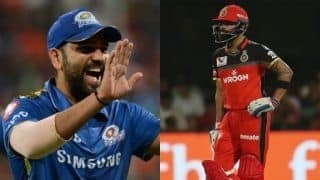 Lynn’s eighth IPL fifty seemed to have put KKR on course for at least a 180- plus total, but Tahir’s blows left them gasping for air as they managed to score just one boundary in the final five overs. Having missed the previous game due to flue, Lynn took exactly two balls to declare his intent. He took on Deepak Chahar, perhaps CSK’s most standout pacer in the series and took him for four boundaries and a six in his first two overs to bring up 1000 IPL runs. Chahar’s new-ball partner, Shardul Thakur, fared slightly better against Lynn but he too went for a couple of fours in his first. Mitchell Santner gave KKR their first breakthrough, with Sunil Narine holing out to Faf du Plessis in the deep. KKR then banked on Lynn and Rana with a 42-run partnership for the second wicket, during which Rana started off well with three crisp boundaries through the off-side, all three coming against Ravindra Jadeja’s left-arm spin. Rana however couldn’t get on top of Jadeja’s spin partner Tahir and skied him to long-on for an impressive 21. CSK sniffed an chance and two balls later, Robin Uthappa uncharacteristically played a slog sweep first ball which took the top edge and gave du Plessis his third catch. CSK had struck twice in three balls. Lynn surprisingly went reserved as he approached his half-century. Though once he got there off 36 balls, he decided to get a move on. 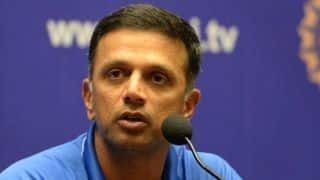 And the bowler he targeted was Jadeja, bowling the 14th over. 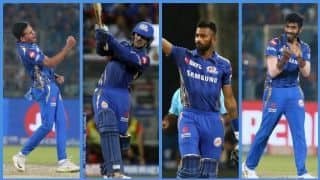 Lynn welcomed the left-arm spinner with three consecutive sixes and a last-ball four from skipper Dinesh Karthik capped off a much-needed 23-run over. With KKR once again threatening to run away with the advantage, CSK snatched it back, once again through Tahir. In his second spell, the legspinner dealt KKR two big body blows – first getting Lynn to top edge and slog sweep for his dismissal and then removing the big man Andre Russell – also to a slow sweep for the West Indian’s first single-digit score this season. Karthik struggled for his 14-ball 18 before he was put out of his misery by Thakur, a dismissal in which du Plessis completed his fourth catch of the match. The pacer returned to bowl a tight last over in which he dismissed Shubman Gill and affected the run-out of Kuldeep Yadav. Brief Scores: Kolkata Knight Riders 161 for 8 (Chris Lynn 82, Nitish Rana 21; Imran Tahir 4 for 27) against Chennai Super Kings.